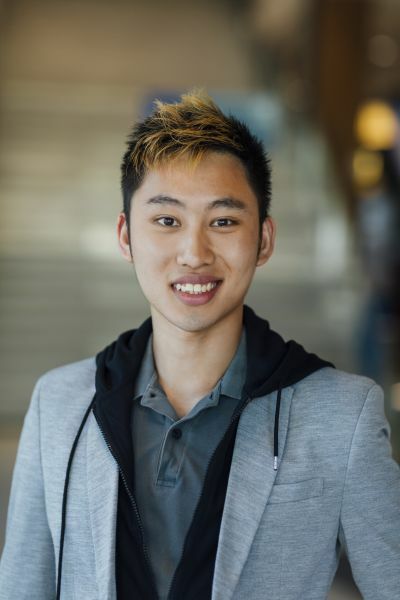 In addition to his first-year subjects, Eugene has been involved in all of the annual MLS mooting, witness exam and client interview competitions, as well as an additional international human rights law moot. However, Eugene’s path to the Juris Doctor is far from traditional. A Singaporean national, he commenced his tertiary studies in Perth. "I was studying psychology at the University of Western Australia, but then I had to go back to Singapore for national service,” Eugene says. Upon completion of his national service, he was set to return to Perth. At the last minute, Eugene thought he should use that moment to pursue a change of scene. "I had to restart anyway, so I figured I should take the plunge,” he says. Since arriving in Melbourne and at MLS, Eugene has had no regrets. He has enjoyed all his first-year subjects and has been thoroughly involved in nearly all of the extracurricular programs that MLS has to offer. “Undertaking all those competitions has meant I’ve been busy, but busy in a fun way,” he says. “It doesn’t feel like studying when you’re researching for a moot or preparing for client interview, because you’re in a team environment. “It’s actually a nice break from studying, if anything,” he says. Juggling the competing responsibilities of class, study and extracurricular activities has been made easier for Eugene because of the friends he has made at MLS. He says that the two-week intensive Legal Method and Reasoning (LMR) course that all first years undertake at the beginning of their JD studies was a particularly good opportunity to meet new people. “One of my hesitations before coming to Melbourne was that I wouldn’t know anyone,” he says. And Eugene says that the sense of camaraderie amongst first year students during LMR has persisted throughout his studies. “One of the best experiences of the JD has been consistently meeting new people,” he says. Looking forward, Eugene is frank about the fact that he still has a lot to discover about the law and is keen to explore as many different career paths as possible. “I think I'm still in a period of discovery so I'm trying to branch out into as many areas as I can,” he says. “So far the things I've found enjoyable are really varied. Reflecting on how he came to be studying the JD himself, his advice to other students looking to come to MLS from interstate or overseas is not to be afraid to break the mold.